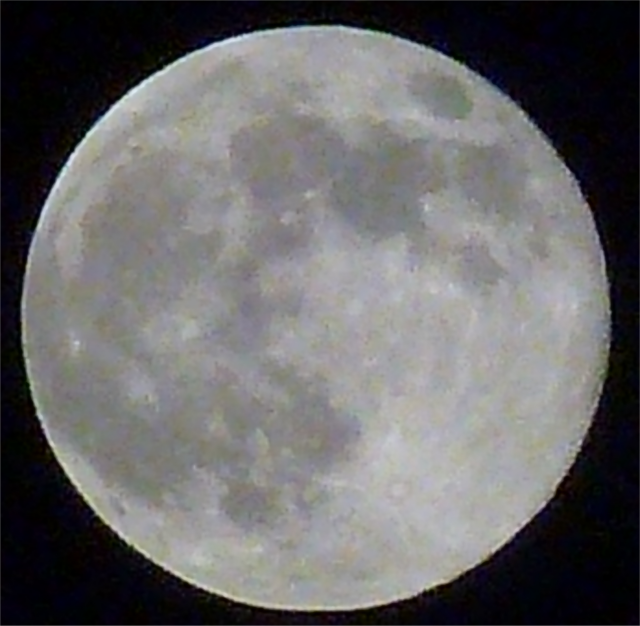 the moon will appear up to 14% larger today as it makes its periodical closest approach to the earth. Fecking wow!!! Did you really take those? They're superb! I love the moon and all things moonish. Seriously, and please don't laugh, but I can see Thatcher's face in the moon.....I have shown it to a few mocking people and they have seem it too so I'm not mad. Yes Gels, that's right, Thatcher. I'm telling you, you can see her face sort of looking down to the left as you look at it. @eddie wrote: Fecking wow!!! Did you really take those? They're superb! yes indeed, the camera has a 16 times optical and 3 times digital zoom. Had to use a tripod though, but one was 1/800th of a second and the other around 1/250unfortunately the moon comes up around 6pm here so I could not get any shots with the sea earlier as there was a lot of haze out on the horizon. Would love to see your pic of the iss space station flappy, it goes round the earth 17 times a day, check the app called iss detector, enter your location, and see when its due to fly over turkey, you only have 6 minutes to capture it though. 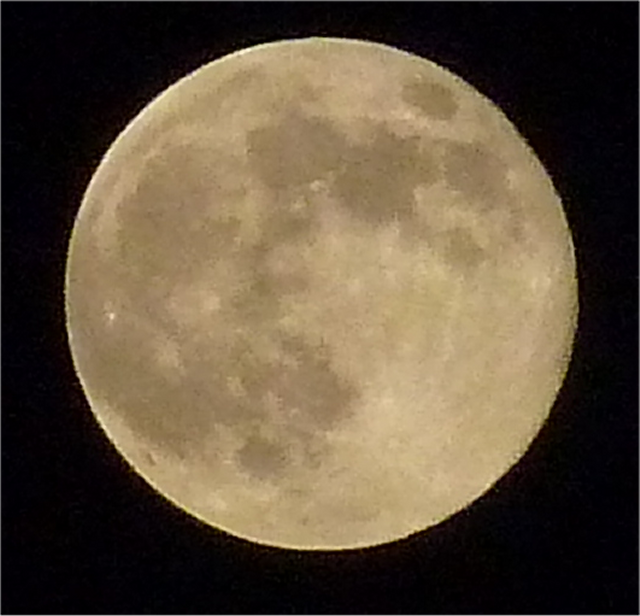 Well its too cloudy to see the moon here tonight, I wish I could see it, I have see it like this before and its a wonderful sight, a bit weird in a way. I've watched the space station pass overhead a few times, now that is weird to think of people being in that as it goes over, although I don't supppose its much different than watching planes go over really. 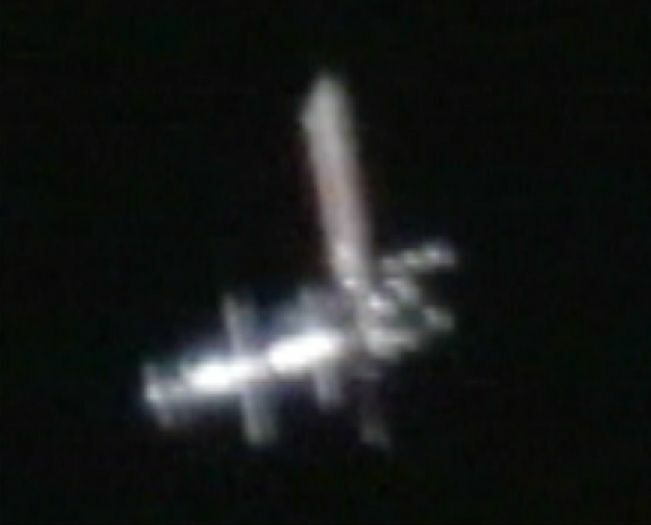 MTC wrote: Would love to see your pic of the iss space station flappy, it goes round the earth 17 times a day, check the app called iss detector, enter your location, and see when its due to fly over turkey, you only have 6 minutes to capture it though. I am not sure my camera would be good enough for that. at full zoom it would be almost impossible to keep it on target. Although I could probably get a track for it as I can take 1 minute time exposures. Finding an app for the PC seems a little tricky as the only ones that appear are for android devices. I saw it last night, it was nice. I'm sure you could better than the above pic.